So when I started the month of June, I thought that I'd only buy about 7 books, and that was thinking optimistically. I only planned on buying preorders and instead saving my money for other things. Well...that didn't happen. I bought 19 physical books, 4 eBooks, and a bunch of merch. I didn't get any audiobooks this month, though, so I consider that a show of good self control. As always, we'll start with the physical books. There were a couple new releases that I was anticipating this month, but nowhere near the amount that we had in May. But, BEA/BookCon happened in June and while I wasn't able to go, a friend of mine went and dragged her boyfriend with. She graciously offered to send me some of her duplicate copies from when the two of them went down the same line. Also, I purchased an Owlcrate box for the first time in over a year. Lastly, I had to buy some books for school and decided to throw some pleasure books in as well as my two required books. First off, I picked up Vengeance Road by Erin Bowman. I've seen this book around BookTube and Bookstagram for a while, but I never had any interest in reading it before this month as it was a Western and I wasn't interested in reading a Western when I had dozens of Fantasy books I could choose from. Yet, towards the end of May I actually decided to read the synopsis and was intrigued, so I decided to buy it (you'll find that's a common theme in my hauls). Next I have All Quiet on the Western Front by Erich Maria Remarque and Under Fire by Henri Barbusse. The short and simple explanation behind these two books is that I was required to buy them, read them, and write an essay on them for college. So far I've only gotten past the buying them stage. Next I have a few arcs that a wonderful friend of mine sent to me. She got a few duplicates at BEA/BookCon and sent a few my way. The first, and most exciting, is Hunting Prince Dracula by Kerri Maniscalco. I'm so excited about this book. I read book 1 back in September and I absolutely loved it. When I first saw people getting ARCs of this book I was so jealous. I'm so glad to finally have this book in my hands. As I write this, I'm currently reading it and I love it! Being back with Audrey and Thomas is fabulous! Next she sent me a signed Invictus ARC by Ryan Graudin. I don't know much about this book except that it's time travel and science fiction and amazingness. I'm excited to hopefully get to it soon. It came signed and I think that is just amazing that my friend would send me a signed book. The next ARC I have is Girls Made of Snow and Glass by Melissa Bashardoust. Four words. Twenty-four letters. Say it and I'm yours. "Fantasy feminist fairy tale." YES! I am 100% here for this. This is a Snow White retelling and I am absurdly excited to read it. I'm so happy to have a copy of this in my hands. Hopefully I'll get to it sometime in the fall. The next ARC I have is Gunslinger Girl by Lyndsay Ely. This one actually doesn't release until January 2018, so there's still about a 6 month wait for it. Luckily, I am fortunate enough to have a copy. It's a western that has been described as Annie Oakley meets Katniss Everdeen and I am all for that! I'm planning on reading it sometime in the fall and I'm so excited! This is the sequel to Frostblood, which I haven't even read yet...whoops? I'm still excited to have this sequel though, as I do own book 1 and plan on reading it soon. It will be awesome when I finish book 1 to be able to immediately jump into book 2. I do own the ebook version as well, but I wanted the physical edition of Frostblood to match my ARC of book 2. I've been wanting to read this for over a year now and I'm excited to get to it soon. Next I grabbed Roar by Cora Cormack. To be honest, I have no idea what this book is about. I read the synopsis a few weeks back but have forgotten since then. 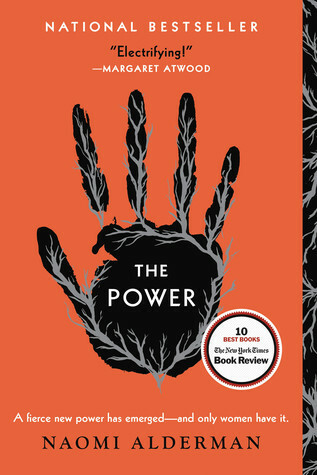 However, the synopsis (when I could remember it) + the gorgeous cover + all the hype around it = me wanting it immediately. I'm so glad to have it and I hope to get to it sometime this fall as well. Then I picked up an exciting newer release: The Love Interest by Cale Dietrich. What really sold me on this was an LGBTQ+ love story combined with spies and awesomeness. I'm so excited to read it. And, confession time: I've yet to read a book where an LGBT couple is the main romance. I've read a few where they are side characters, but never the frontliners. I'm excited to read this both because of the love story and because of SPIES! Then I picked up The Dark Days Pact by Alison Goodman. I actually had this preordered but had to cancel it last minute due to unforseen budget issues. But I'm so excited to have it now! I really liked book 1, The Dark Days Club, and I've been anticipating what happens next with my fav characters in this book. Although, I do have to say, I don't really like the cover change...I thought the old covers were beautiful and these ones just don't do it for me. It's hard for me to find a non-illustrated person on a cover to be a good representation for the book, and this one just fell short. But, I will read despite the cover! Lastly from Amazon, I grabbed The Princess Saves Herself In This One by Amanda Lovelace. I've been slowly getting into poetry more and more and I have to say, I'm glad I picked this one up. I've only read a couple pages so far but I love it! I can't wait to read it all. The words are so moving and I'm honestly just so excited. Then I purchased this month's Owlcrate box. The first book that came was an extra book published by Oftomes Publishing: New World Rising by Jennifer Wilson. I've actually been interested in reading this book for a couple years now, so I'm excited to have it in my hands. I don't really tend to lean towards dystopia but I've heard great things about this one. The main book in this month's Owlcrate was The Sandcastle Empire by Kayla Olson. This book came with a cover that was exclusive to Owlcrate, which is always exciting. I've heard only great things about this book and I'm somewhat interested in it. I might give it a go sometime in the fall when I have more reading time on my hands. The past few months I've also participated in a Blind Date With A Book exchange. I was absolutely spoiled by my date this month. She got me Daughter of Smoke and Bone, Days of Blood and Starlight, and Dreams of Gods and Monsters, all by Laini Taylor and all in hardcover! Last but certainly not least, I got Now I Rise by Kiersten White. I believe I talked about this book in my most anticipated releases of 2017 post, and I'm so excited to finally have it! I loved And I Darken but the end absolutely broke my heart. I need to know what happens to my babies in this installment. Hopefully it doesn't rip my heart out again. Then I picked up 4 ebooks this month, which is definitely a lot less than some months. 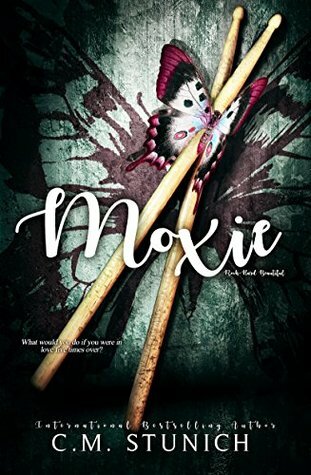 First I got Moxie by C.M. Stunich. This is the third and final book in the Rock Hard Beautiful reverse-harem trilogy. I really have enjoyed the first two books and I'm excited to see how everything closes in this final book. I have found a new author that I love and I can't wait to read this book and her upcoming RH release. 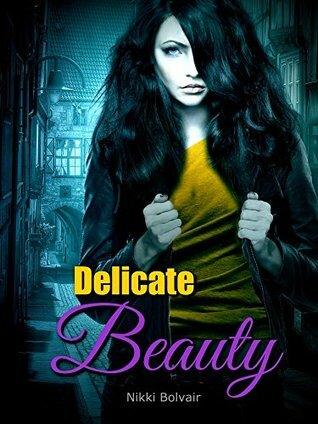 Then I picked up Delicate Beauty by Nikki Bolvair. This is another RH book from an author that I've read previously and adored. I love Nikki's "Faith" series and I can't wait to see how this one progresses. I'm not 100% sure what it is about but I believe there may be a kidnapping aspect? I don't know, but I am excited. 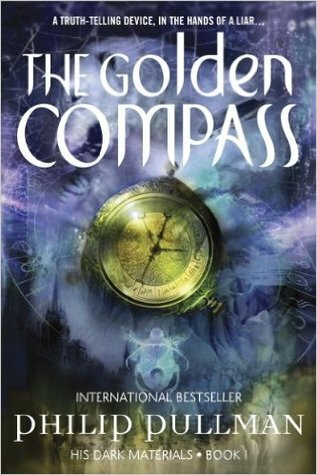 Next I got The Golden Compass by Philip Pullman. It was on sale for $2 and I've been interested in this book for years now, so I decided 'Why not get it?' I haven't read it yet and I don't have plans to in the immediate future, but I'm excited nonetheless. Lastly, I bought Black and Green by C.L. Stone. This is the newest release in C.L. 's Ghost Bird series, which I absolutely adore! It was my first RH series that I ever read and following these books and this author has introduced me to some of my favorite books of all time. I'm currently reading this installment and my heart literally breaks or is pounding every time I turn the page. I've waited so long for this book and it is not disappointing me! Then I got some bookish merch items this month, which I don't usually have a lot of. First I got this gorgeous and amazingly-smelling "Helion" candle from A Court of Candles. It smells like summer and sunshine and happiness. It's modeled after the High Lord of the Day Court, Helion. I love Helion and when the shop owner said it would only be available for one day and then it was gone forever, I knew I had to purchase it! If you're interested in amazing bookish candles, I highly recommend checking A Court of Candles out (and find out how you can get 10% off your first order at the end of this post!). Then I got this GORGEOUS A Court of Mist and Fury inspired "Starfall" book sleeve by BookBud by Gabriel Lea. First, it's inspired by my favorite book series ever. Second, it's big and soft and gorgeous. Third, it protects my books when I'm out and about. I honestly love book sleeves (or book buds, book buddies, book beaus, whatever you wanna call them)!! I have 2 now and they are both gorgeous and have saved my books from so much damage. This one is probably my favorite since it is ACOMAF themed, but I don't use it as often yet because I only need to use 1 protector when I go out on the daily as I only bring 1 book. Last but not least, I did purchase this month's Owlcrate. For my full unboxing and thoughts, you can find my post here. Thanks for reading! I hope you enjoyed seeing all the books I picked up this month. July will definitely be a lot smaller of a haul, which my bank account will thank me for!